Mardaani is not a perfect film, but it’s better than many of the blockbusters Bollywood churns out regularly. It’s a well-made commercial Hindi film – reasonably short and minus songs – that’s trying to say something. For that I’m going with three out of five. Whatever else, you won’t be bored. MARDAANI grabs your attention from the commencement and never relents. Padding the proceedings with several intense episodes, MARDAANI eventually becomes the good versus evil fight as the protagonist makes her way to the baddie behind the baddies. On the whole, MARDAANI is relevant, powerful and inspiring with a top notch performance by Rani Mukerji. Worth a watch! While there is nothing in the plot that you haven’t seen before, it is still watchable for the superb performance of Rani. This movie could have continuous recall had the pace been racier. And if you could also buy into the emotional tracks between Shivani and her husband, her niece or her ward. Also, Rani is the only member of the cast with star value. The rest of the actors, including the English-speaking young goon, are inconsequential. On the whole, Mardaani is too ordinary a film for an emotional and disturbing issue like s** trafficking. It leaves the viewer unaffected and fails to inspire the women to revolt, which is what the film ought to have done. At the box-office, it will not be able to make its mark. 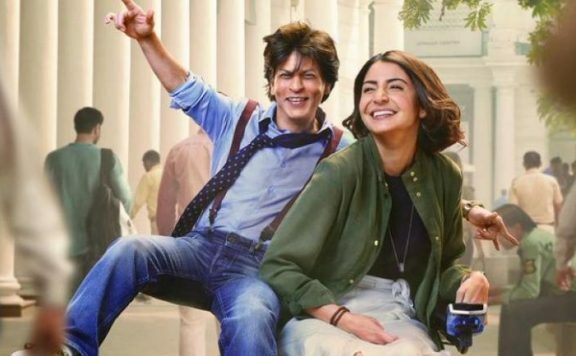 A section of the evolved and women audience will like it for the intention behind the film but that won’t be enough for the film to succeed at the ticket windows. What it really is though but a middling action thriller engaging a cat-and-mouse game between a shrewd crime branch officer (who happens to be a woman) and a demented young man running a vast human trafficking business. Mardaani is a bland version of Liam Neeson’s Taken. If only the script weighed more in intensity of thoughts than stagy heroics and simplistic resolutions, it could do a lot more for women in the film industry if not society in general. Mardaani is more in the nature of a police procedural drama than a stunt film about a comic strip cop in which exploding cars and pummeled bodies are flung about in the air like a whole lot of pillows. Because Shivani Shivaji Roy is not your average action ‘hero’, she might not appeal to Dabangg junkies. But for everyone else, Mardaani could be well worth a trip to the multiplex. After the interval, the filmmakers throw all restraint to the wind. Shivani is pushed into becoming a one-woman squad, turning into the male version of the movie cop that’s only right for comic-book treatment in bad 80s’ reboots. Cue swelling background music-and- rousing-songs, and we see Rani Mukerji lit up from the back, walking slo mo down a dingy corridor. That’s called curdling credibility. Mardaani is a crime drama, which is packed with action and thrills. Rani Mukerji plays a tough cop who does her job with her heart and mind. She puts in her blood and sweat to bust a human-trafficking racket. The show she puts together on the big screen is simply awesome!Book your tickets for Mardaani and watch Rani Mukherji in action. She will blow your mind! Mardaani is a movie that despite an unimaginative plot and predictable narrative engrosses you in its fabric. Rani Mukerji is pitch perfect in the role of a super-cop that is rightly hued, far from the floss and swagger of Chulbul Pandey and Singham. She is real, gritty and every bit brilliant. Though the film’s climax loses itself in melodrama, this is a film that has its heart in the right place and tells a pertinent story at a time when it must be heard. Mardaani is a fair attempt to address an important issue of child trafficking. There are no unnecessary twists and turns, convoluted flashbacks or, worse, forced item numbers in the end. Simple, straight screenplay. Mardaani is a more commercial, less disturbing version of Nagesh Kukunoor’s Lakshmi. The film could be too simplistic for many, but doesn’t offend you or underestimate your IQ. Watch it once. It won’t hurt. 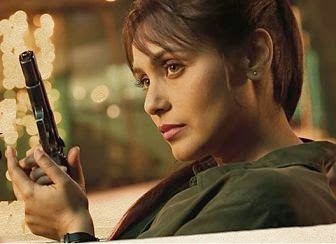 Mardaani is not in the same league as ‘Kahaani’ or ‘English Vinglish’, but it still deserves applause for attempting to portray a movie minus Bollywood’s trademark frills. Even when the inspiring story crumbles towards the end with unnecessary melodrama and a corny monologue, Rani flaunts her finest act. Yet, this isn’t at par with ‘Kahaani’ or ‘English Vinglish’, only because writer Gopi Puthran reduces ‘Mardaani’ into an unimaginative mess by trafficking in the usual tropes of supercops and psychotic baddies without giving the tale a wicked twist.